Nationally, I-26 runs from Charleston to US 23 Kingsport TN. 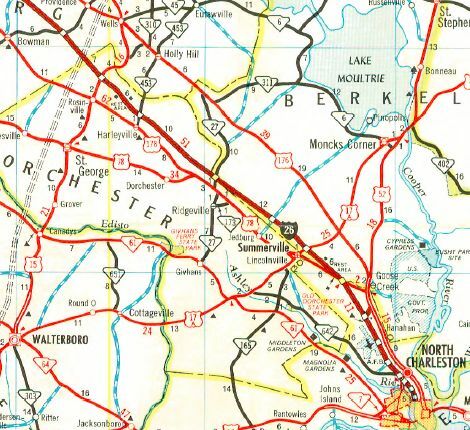 Creation: I-26 first appeared on the 1959 Official Map. It was shown as under construction from SC 11 Campobello to SC 453 Harleyville. 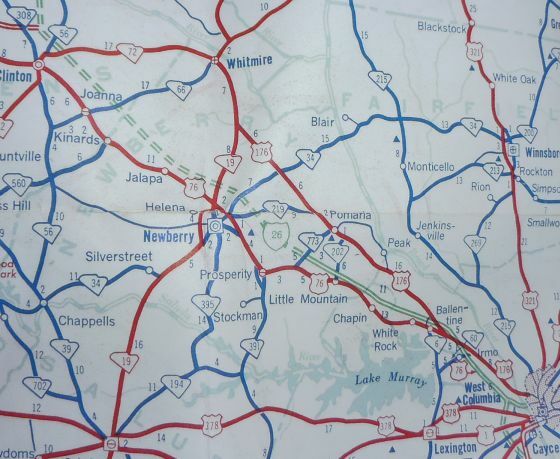 Adjustments: In 1960, I-20 was opened from SC 773 to US 378 West Columbia. It was also shown to be under construction from SC 453 to the US 52 CONN in North Charleston. 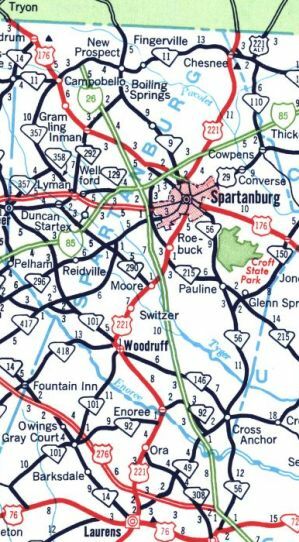 In 1961, I-26 was shown open from SC 11 to US 29 Spartanburg; US 276 (now I-385) to SC 773; US 378 to US 21-176 Dixiana. 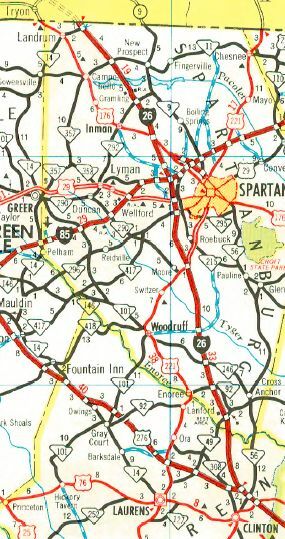 In 1962, I-26 was shown open from US 29 to US 276 (now I-385); US 21-176 to SC 121 (now SC 210) Bowman. I-26 was also shown as under construction from the US 52 CONN to SC 7. 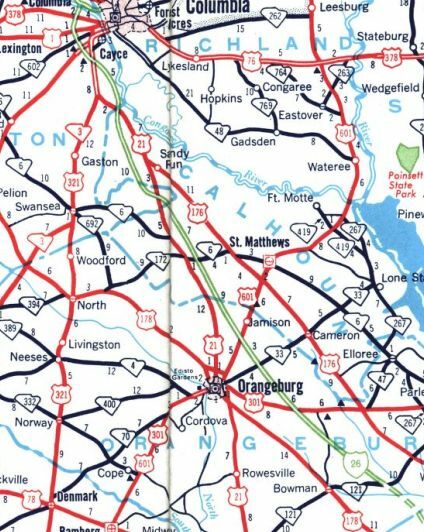 In 1963, I-26 was shown open from SC 121 (now SC 210) to US 78 Ladson. I-26 was also shown as under construction from the NC Line to SC 11. 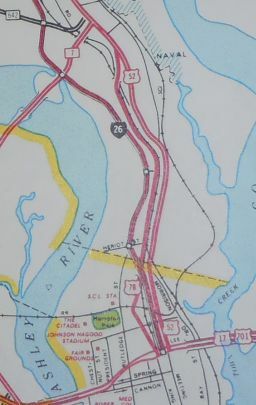 In 1964, I-26 was shown under construction from SC 7 to Rutledge Ave in Charleston. 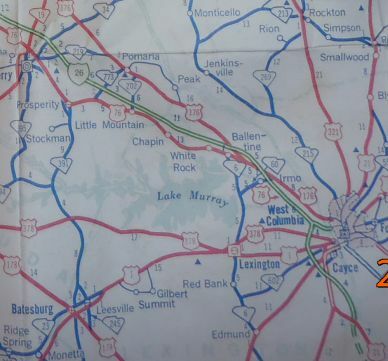 In 1965, I-26 was shown as open from SC 14 Landrum to SC 11; US 78 to SC 7. I-26 was also shown as under construction from Rutledge Ave to US 17. 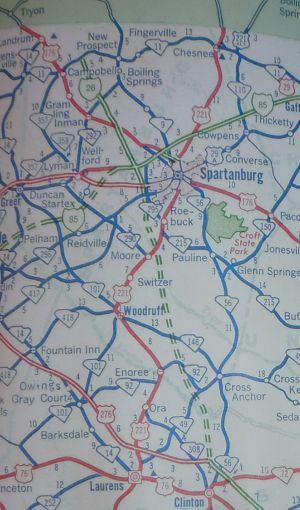 In 1967, I-26 was shown open from the NC Line to SC 14. 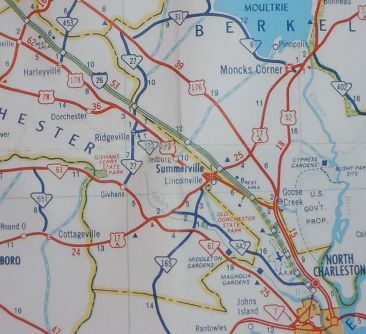 In 1968 or 1969, I-26 was open from SC 7 to US 17, completing I-26 in South Carolina. Improvements: 4 lane freeway at inception except from the US 52 CONN eastward to I-26's end was initially built as 6 lanes. I-26 was six-laned from I-126 northwest to US 176 in 1981. 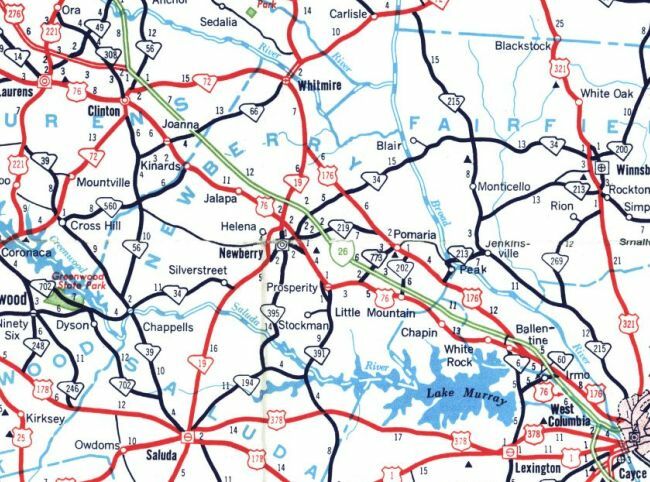 I-26 was 6-laned from I-126 to near US 21-176 Dixiana in 1992 (through the Dixiana and I-77 interchange was 6-laned about 1985). I-26 was 6-laned from US 17 ALT to US 52 CONN in the mid 90s. I-26 was 8 laned from US 52 CONN to I-526 in 2011. I-26 was 6-laned from US 21-176 to beyond the Gaston exit in 2016. I-26 was 6-laned from US 17 ALT to Nexton Pkwy in 2018. Some exits were not part of the original lineup: I-95 (1976); Harbison Blvd (1981); S-8-62 (1982); I-77 (1987); I-526 (1990); I-85 (1995); US 17 NB (2005); Nexton Pkwy (2018). The SC 60 exit was a half-interchange until the early 90s. Comment: I-26 serves three major cities in South Carolina - Charleston, Columbia, and Spartanburg, but only really passes inside Charleston. The original concrete was still in use from US 15 to near SC 27 and also everything below the Midland Park Road overpass as late as 2016. I-26 received its exit numbers in 1976. I-26 blows off US 78 near EXIT 219. Before the new US 17 bridge over the Cooper River was built, there was an Exit 220 (WB only) for Romney Ave which remains amidst the flyovers and ramps from the new US 17 tie-in. Other than the big cities, I-26 remains a quiet ride through lots of swamps in the southeast and hilly piedmont to the northwest. 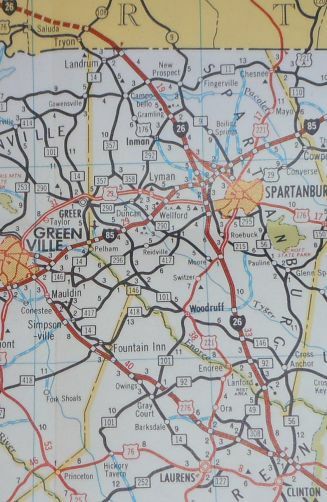 In the planning stages for I-26 there was controversy because Greenville wanted I-26 to go there. They got the US 276 freeway instead.